By Jane on March 15, 2018 at 4:00 am and filed under Book Talk, Promo & Contests, Publicity, Writing Life. congratulations on your new release. can’t wait to finish reading it. have the best new release day ever! So excited to read the new release! I’ve posted the book graphic on my author page of Facebook to share with my readers. Happy release day!. I really enjoyed this book. By the way, I am featuring it on my blog this morning. I shared links to your post on Twitter and Facebook. OMG — now I have ABBA on repeat in my head!! Thanks for the earworm!!!LOL!! Congrats on another great book!! I haven’t read any of these books yet but plan to start soon. Great to have a new series to begin. I’ve shared your newsletter with my friend S. Hall. 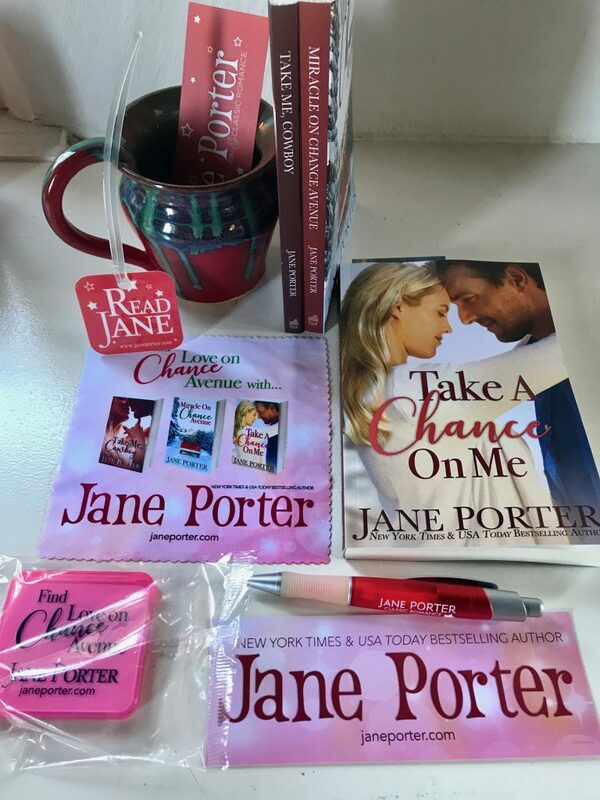 Enter me to win the books! Congrats on the new book release – I’m looking forward to reading it! (and I’d love to win.) Let the good times roll! I am so excited to read the latest book in the series. Not only did I forward the email, I’m going to post the graphic on my fb when I get home today and pass my books along to a few friends so they read them as well. My favorite part of the time I won was I got books to share with friends!! Hi, Jane–Best wishes for all releases! I have been in the hospital for over a month after having life-saving emergency surgery. I am just getting back online with limited access and ability. I shared your promo twice on Facebook Virginia Campbell–one from your website, and one from your own Facebook post. Recipe sounds delightful! So excited for your new release, I’ve forwarded your newsletter to a friend. I Look forward to enjoying the books. I forwarded the newsletter to my sister and friends. Hi Jane, congratulations on your new release! Haven’t read it yet, but I’ve enjoyed some of your other titles. I will be sharing this on my FB, and forwarding it to friends. I love small-town romances, especially ones set in MT. I lived in a small town there for 18 years! Congratulations!! I’m so excited to read it! I forwarded your newsletter to a few friends and family! Congratulations and the book sounds like a great read and I hope to do that soon! I’ve shared on Facebook and Pinterest, thanks for the awesome giveaway. I have told friends about your new book. You have a fan base here In our area as you know. 😉 The cover is really nice, too. It makes me want to read the book and I like the placement and size of your name, all good things! Congratulations! Book landed on my kindle at 12:04 Eastern. That chicken salad sounds yummy. I make mine with honey from my dad’s apiary. I can’t wait to read this! Love the mug in the photo. 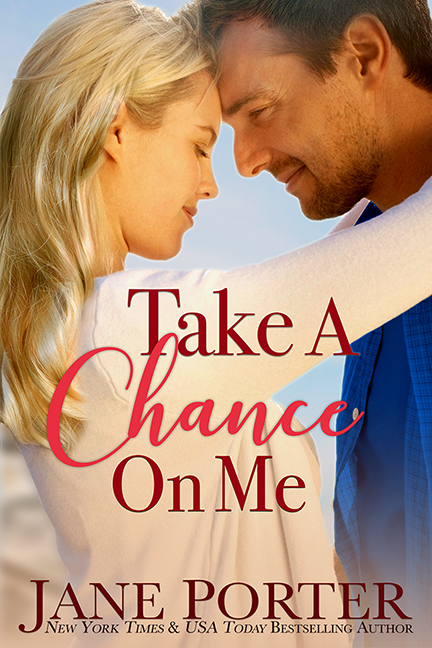 Hi Jane, I can’t wait to read Take a Chance on Men. Your writing is a balm to my soul in these disturbing times we live in. I am so glad that is Making Movies from yours and some of Tule authors. 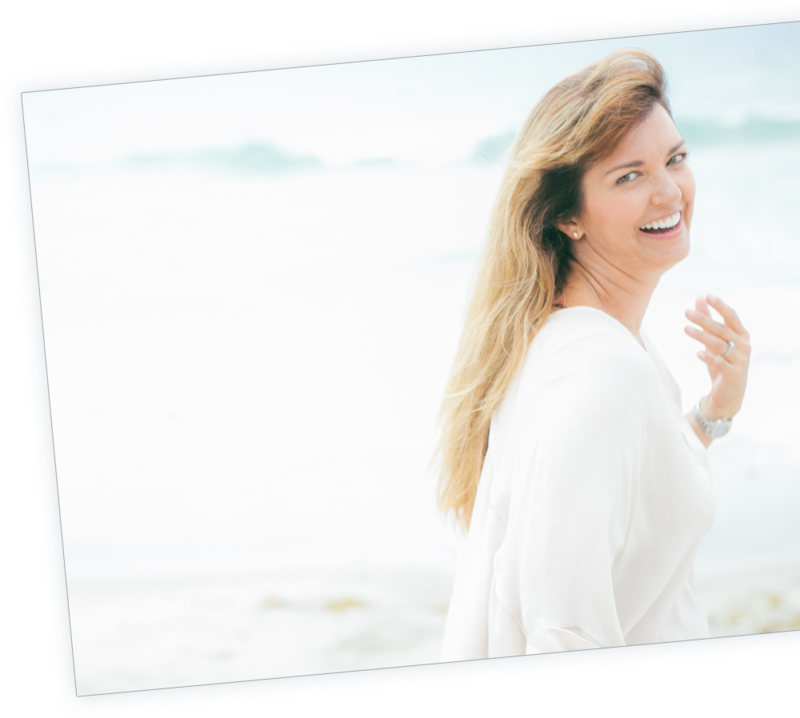 I have posted both newsletter and blog to my facebook feed for you. Have a great St. Patrick’s Day tomorrow. Happy Release Day! I love Bette! I have shared on fb and twitter and will do instagram later. I love that salad, I have had it out and it is so yummy. Not a fan of blue cheese either. I’m excited for the new book! I shared on FB and Instagram. Thanks! Shared on my Facebook page – congratulations on the release!!! Congrats on your new release! I shared on my facebook page. Thanks for the chance. Congratulations on your new release! Thank you for the recipe! Looks yummy! I shared it on my Facebook and Pinterest pages. I’m in a woman’s book club and have many book loving friends. This one looks so good, can’t wait to dive in and read it with a glass of wine! Awesome giveaway!! I enjoy your books. Forwarded your email to a friend! 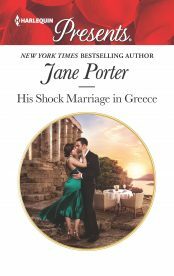 Happy Release Day Jane!! I loved this book!! I pasted the picture on my Facebook page and Pinterest page. Tina Stuck shared Jane Porter’s post on facebook. Congratulations on your new release! 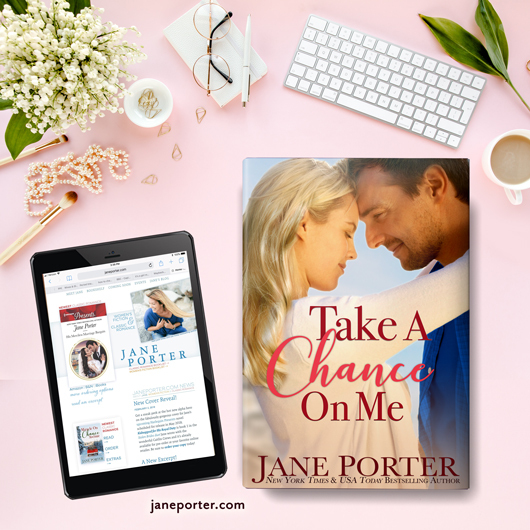 Take A Chance On Me by Jane Porter is a wonderful well written book. Congratulations Jane on the release. Sounds wonderful. Great cover. Thanks for the awesome recipe as well. I posted on G+ and Pinterest and sent the newsletter to my daughters. I’m not on FB, twitter or Instagram. Thank you for the opportunity. Congratulations on your book release day. Always love a new book from you. Please keep writing. This one is such a sweet one. Good job 🙂 And thank you for the Chicken & Apple Salad recipe. I gotta try that one. Happy release day! I forwarded the email to my friend! Look forward to reading the book. Thank you, everyone, for helping me share the news about my new release. I truly appreciate each and every one of you!